It is that time of year again when we catch ourselves coming and going. 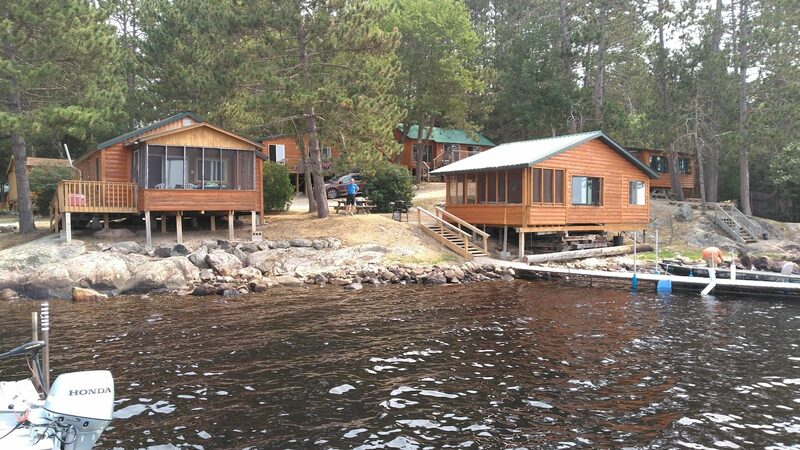 Remodeling cabins, cleaning cabins and getting the grounds in shape. As usual we have multiple projects going around the resort. Cabin 13 is coming along nicely. Look out for new pictures on our Facebook page. At least this year we are doing this with no snow on the ground and no ice on the lake. Ice out was about two weeks ago. A bit early but not that far from a so called normal ice out. The lake level is a little high right now but we expect to see it start to drop soon to a normal summer level. There has been a lot happening around town. At least one new restaurant will be opening this spring. The Two Gringos Grill will be opening soon in the former Pizza Hut building. Renovations still continue to happen to several buildings around town including the Sheridan Street theater and the VFW building. We look forward to our first guests arriving in about one week. Things are shaping up to be a pretty busy summer. We have posted many specials on our web site, so please check it out. Make sure to call soon to guarantee the cabin and week/weeks or days you prefer. Please check the web site www.whiteironbeach.com for all the current up to date info and specials.